Welcome to the Patriot PS personal server systems. 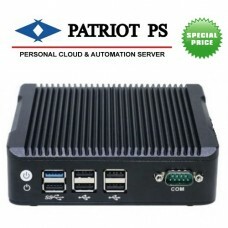 Patriot PS systems are designed to be small, quiet, hardened fan less mini personal computer systems based on Intel/AMD x86-64 bit processor, that can run 24x7 in the privacy of your own home. They are are energy efficient and fits in the palm of your hand. 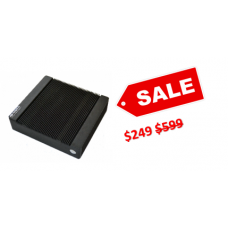 Easy plug and play features will get you up and running without connecting any monitor or keyboard. You can access it using your favorite browser from your local area network or via the Network browse function from your Windows PC or laptop. 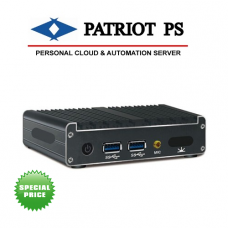 Patriot PS systems comes with standard 4GB main memory and a choice of storage configurations with SATA hard disk or mSATA solid state drives (SSD). Pexus Patriot PS systems comes preinstalled with our custom built OS distribution based on popular Debian Linux. It also includes Pexus LLC configuration application - ppsconfig and other applications. Use it as a secure personal e-mail server and create unlimited mail boxes for your e-mail domain all under your full control. ppsconfig application easily enables you to download and install free popular community edition of OwnCloud and Pydio to store and share your files over Internet. Use the free mobile apps from OwnCloud and Pydio to upload and share photos and media right from your smart phone. We at Pexus LLC continue to work on additional personal and family applications to provide incredible value to your personal server. Our mission is to give you control of your data on your server on your terms! 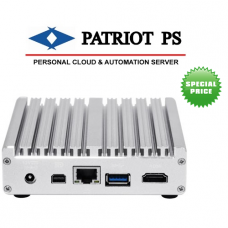 If you have any questions or don't see a desired configuration for main memory and storage for your favorite Patriot PS model contact us for a custom quote before you place an order. 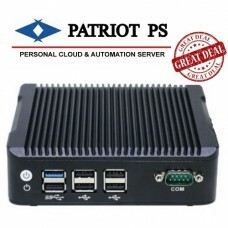 If you are not quite ready to take a Patriot PS Personal Server system home, then check out our hosted solution where you can host the Patriot PS Personal Server in our secure cloud as a Virtual Private Server (VPS) for a super low monthly cost starting from $19.99 a month, that you can cancel anytime. You can also search for a perfect personal domain name to go with your personal server.